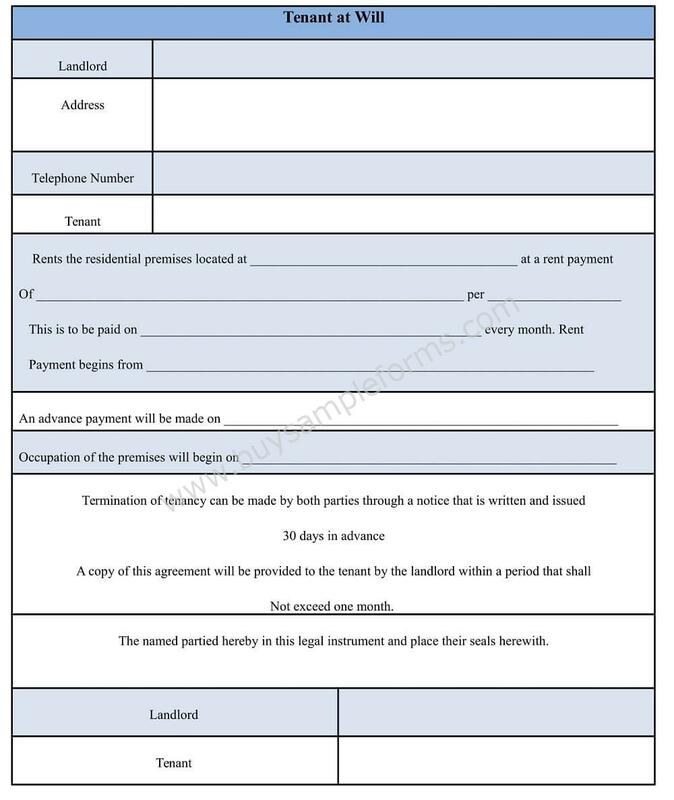 Tenancy at Will is a tenancy agreement between the owner or the landlord and the tenant who occupies the property. It is a property tenure which includes all important and essential details in relation with tenancy, like, rental period, rental payment, details on rental premises etc. which are must for the agreement. Both, the owner as well as the tenant have the right to terminate the property tenure. This kind of will form is perfect for all those who wish to have flexibility in their agreement to change rental situation without actually breaking the contract they have. It is a legal document and binds both the parties to the law. 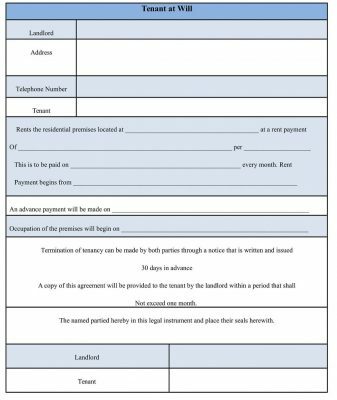 To help you create a perfect Tenant at Will Form, we have come up with a Template form which is easy to download, print and customize. 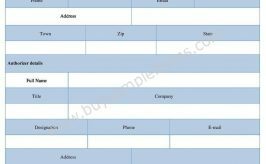 It is available in MS Word and Editable PDF so that you can have your own Tenant at Will Form without any hassles.